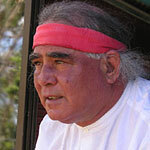 Kev Carmody was born in 1946 to an Aboriginal mother and Irish-Australian father. He grew up on the Darling Downs, west of Brisbane. He is a member of the Stolen Generations, taken along with his brother from his parents when he was ten years old. He now holds a PhD in history and has been introduced into the Aria Hall of Fame. 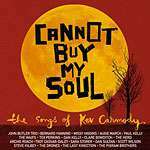 Kev Carmody co-wrote this song with Paul Kelly. It is based on the story of the Gurindji Strike (Wave-Hill Walkoff) and was added to the National Film and Sound Archive's 'Sounds of Australia' in September 2010. 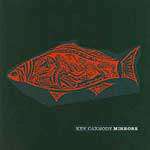 It was originally intended as a demo for a documentary about Carmody's life, rather than a track for an album . CD 1: Tributes by various artists, CD 2: Best of Kev Carmody.